This year's Great North Run will see 24 Team Run Geordie Run runner's taking part and raising funds for St Benedict's Hospice. Last weekend, I wrote the following on the Team Run Geordie Run Facebook Page which I'd like to share on my blog. "Here are just some random thoughts of mine to remind us how we got here as a team and what the benefits are. 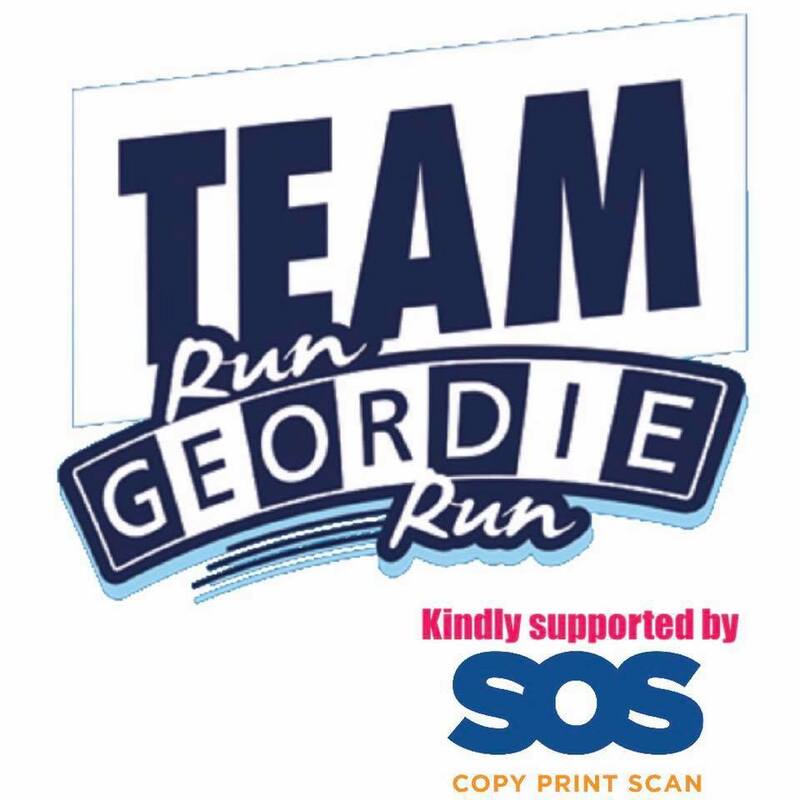 Team Run Geordie Run was born out of a desire to repay a debt of gratitude to charities who make a positive difference to the lives of a lot of people in the north east of England. Most people have been affected by cancer and some of the team’s family have even used the services of St. Benedict's Hospice, the chosen charity for 2018. I’m aware that the majority of people on the team have their own story to tell. My own story is a simple one however. It's how St Benedict’s Hospice made a huge difference to my family. The care that my Mam received at the Hospice helped to give her a dignified and as comfortable as possible final few weeks of her life. That was in March 1995. She spent 14 days on the palliative care ward at St Benedict’s Hospice. St Benedict’s Hospice back then was a much smaller premises than it is now. There were three people in the same room as my Mam. Only a curtain separated them. I remember that my Mam, even during her final days and fighting her own battle, tried to help and talk to the other two people on the ward. I remember one lady was just a mere skeleton with little chance of being able to communicate anything other than her state of discomfort. A state which was soon calmed and helped by the Hospice nurses. My Mam never reached the kind of physical condition that this poor lady was in. My Mam’s cancer spread to her brain and that is what brought the earlier than expected end to her life rather than any complications with the initial cancer in her right lung. When I used to say goodbye to my Mam at the end of each visit she would wave out of the window in her room at the Hospice. After the ninth day she was no longer able to get out of her bed to do that. Sadly, she lost any ability to communicate during the final three days. When I say that she fought against the cancer, that’s exactly what it looked like she was doing. It seemed like she was battling for every breath until finally she took her last one. I wasn’t there when she died and that is something that I struggled to cope with for a few years. It wasn’t until I had a visit from a Macmillan Nurse in 1997 that I was helped to make sense of things. I was aware that the Hospice used to contribute funds to them. Of course, the grieving process continues. Like many other people that I talk to, I’ll never fully recover from losing both of my parents. My situation isn’t unique I have come to discover. Specifically though, St Benedict’s Hospice have helped thousands of terminally ill people and supported their families over the years. That’s what makes it all the more important that we continue to do as much as possible to help them. 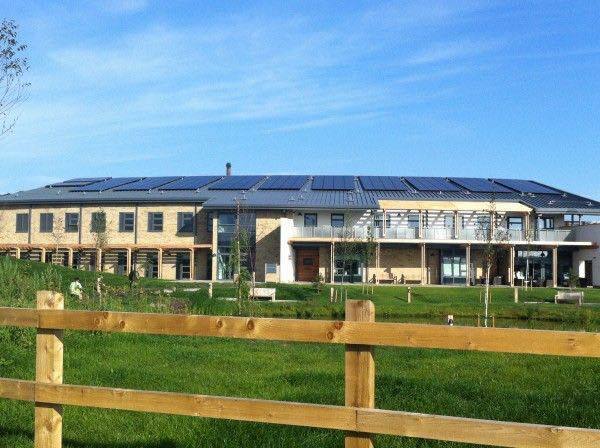 The staff and patients at St Benedict’s Hospice are now housed in a wonderful purpose built premises. Every patient has their own room. The grounds contain some amazing green spaces which lend themselves to providing a calm and relaxing backdrop to what, for all families, will be a terribly difficult and sad time. 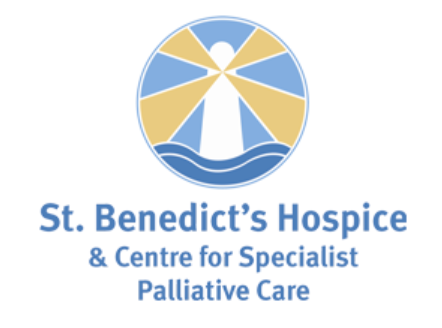 If you have ever sponsored Run Geordie Run or have been part of the team, then you should feel unbelievably proud of how your efforts are helping to improve the quality of the end of life care given by the staff at St Benedict’s Hospice. There are other fundraisers like us who will feel equally as proud. We are playing our own small part but together as a team we are making a huge difference."